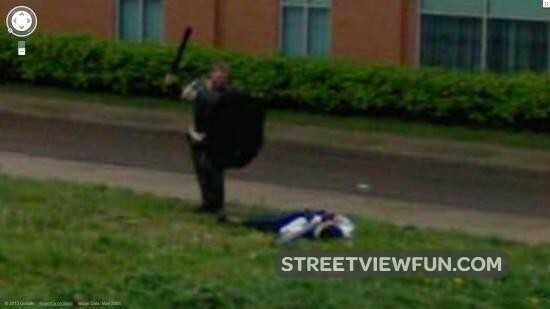 14 Best Google Street View Images of 2014 This Acura has legs Kiss the beetle Walkable piggy bank? 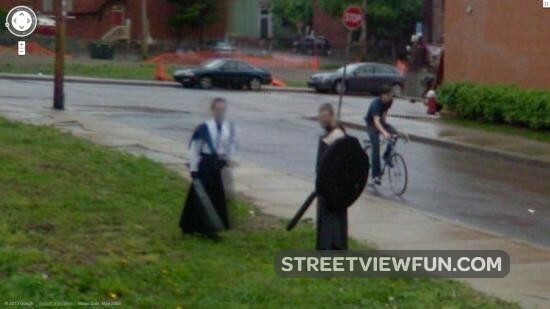 Why has google now blurred the samurais? I doubt it’s something quite like Dungeons & Dragons….You ever see the movie Role Models which stars Paul Rudd (Josh from Clueless & Andy from Wet Hot American Summer), Seann William Scott (AKA Stifler from American Pie), Christopher Mintz-Plasse (AKA McLovin’ from Superbad) & Bobb’e J. Thompson (young black kid). 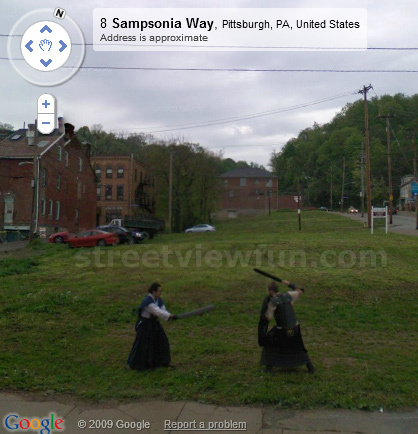 where Christopher Mintz-Plasse (AKA: McLovin, AKA: Augie) is really involved in this LAIRE (Live Action Interactive Role-playing Explorers) Thing where he dresses up all the time like a Medieval warrior or something & goes to a Soccer field at some park & they have play fights with these medieval weapons made out of some combination of Plastic, Duct Tape, maybe some plywood, soft foam, etc… & uh, yeah…but the best scene in the movie Role Models, BY FAR, is when Seann William Scott (Stiffler from American Pie) as “Wheeler” in this movie, is explaining to the little black kid, Ronnie about the band Kiss…. Wheeler: No, They Couldn’t at the time, that’s why they had to dress like Clowns! !